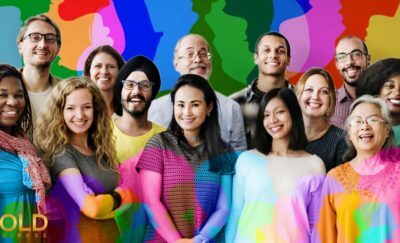 Startups and Women Entrepreneurs – Here’s the Region for You! Ecosystems that support entrepreneurs and innovation hubs are sprouting across America. Regions of the country are working hard to be startup havens. This includes creating an environment that supports innovations and helps investors find the next bold idea. Silicon Valley is a luminous example. However, emerging regions include Florida, Colorado, Oregon and Georgia. What do these emerging regions have in common and how are they competing? Factors include: an entrepreneurial ecosystem, strong startup density, a culture that supports innovation, strong higher education system, home to large corporations, access to capital and availability of talent. 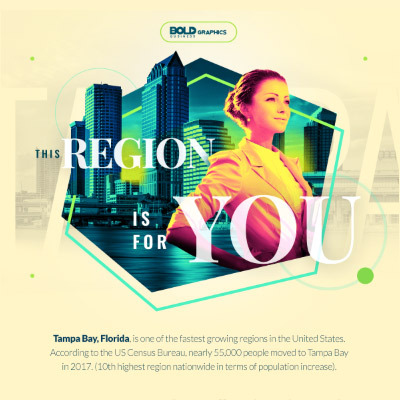 Taking these factors into consideration, the Tampa Bay region is poising itself for explosive growth, especially for startups and women entrepreneurs. The Tampa Bay Region—Clearwater, St. Petersburg, Tampa—is right in the heart of Florida. As the the country’s 3rd most populous state, Florida has a strong population of 20.98 million. Tampa Bay is the 18th largest metropolitan service area in the country. With a population of 3.14 million, the region is the 4th Fastest Growing Job Market in the Country. It is attracting citizens across the country and flaunting an in-migration rate of about 200 people per day. Time Magazine reported Tampa #7 in Yelp’s list of “Most Up-and-Coming Cities in America.” Why? Tampa Bay offers low taxes, affordable living, access to the country’s best beaches, a diverse culture and great weather. The region is attracting students as well. It is home to the University of South Florida, University of Tampa, Eckerd College and Stetson University. According to Wallethub.com, Tampa was recently named the 9th Best College City in America. The University of South Florida ranks fifth among American public universities and 11th among universities worldwide in generating new U.S. patents and Intellectual Property Owners Association. To encourage students to pursue a career in programming and tech development, the area is investing in research and education which allows a steady stream of talent from universities and educational institutions. With the increase in population, businesses are following suit. For example, Tech Data reports $36.8 billion in annual sales. With headquarters in Clearwater, they are now the largest company in Florida and seeding many local companies. Financial services giants are also thriving. Raymond James has its headquarters in St. Petersburg, and JP Morgan Chase and Citigroup collectively employ about 10,000 people in the area. Intrinio, PeerFit, Knowbe4, The Penny Hoarder, AgileThought, ConnectWise, and HoneyFund are some of the fastest growing companies in the region. The $3 billion Water Street project is attracting talent and investors to further makeover the city of Tampa. Similarly, tourism is flourishing. Tampa Bay offers a host of amusement parks, museums, water activities and art galleries, and restaurants to explore. The landscape and green space encourages an active and healthy lifestyle. Overall, the region provides an array of resources for its residents to pursue a well-rounded lifestyle, earning Tampa Bay recognitions and accolades as the best place to study, start a family, and retire. It’s pet-friendly, too. Smashing the glass ceiling is always a challenge for women in the corporate and business world. But Tampa Bay is working on providing the proper resources for women entrepreneurs to easily start their business in the region. The area recently received the citation as the Best City for Women-Owned Business out of 107 Metropolitan Service Areas across the country. It also claims the title for best places for women to start a business. Tampa Bay is indeed a great place for women entrepreneurs. From the local government leaders, to non-profit organizations to private businesses and academic institutions. Every member of the ecosystem is working together to create a climate that supports innovation and entrepreneurship. Sarah Margulis, Co-founder and CEO of Honey Fund shares, “We really started to look at the possibility of moving the company here. And we did some research and we made the leap in 2017 and we couldn’t be more thrilled. We’re hiring so much faster than we could in Silicon Valley.” In fact, Entrepreneur cited the region as #2 in competing with Silicon Valley for Tech entrepreneurs. According to Kaufmann Foundation 2017 Survey, Tampa Bay takes the 18th spot among the 40 largest metros nationwide as the city with most Startup Activity. This translates to 340 new entrepreneurs for every 100, 000 adults in the region. So why are entrepreneurs flocking to this region? 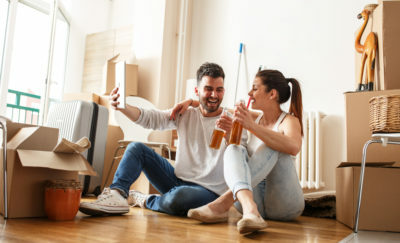 According to a study conducted by Realtor.com in 2016, Tampa ranked #1 for cities gaining the most residents and #3 for top destinations for millennials. The region’s low crime rate, affordability of housing costs, and thriving events, sports and cultural scene is desirable. St. Petersburg, Clearwater and Tampa, are all working together to provide support for businesses to grow. Mayor Rick Kriserman of St. Petersburg shares “We really put a lot of effort into trying to help our entrepreneurs and our innovators who want to start something and then see it grow.” And it looks like the region’s efforts are paying off. Mayor Bob Buckhorn states “This is a city that instead of populating other cities with our talent, is now a place where intellectual capital wants to be.” This common shared goal for prosperity is unique and something that makes Tampa Bay stand out. Synapse, a startup company based in Tampa Bay, is in the middle of this explosive growth. It is creating a virtual ecosystem of investors, entrepreneurs, talent and government institutions. The platform aims to create intentional connections that will allow more startups to flourish and succeed. It is helping educational institutions hatch new concepts. They work with investors and entrepreneurs to find and fund the next bold idea. Synapse aligns with government institutions to offer support and infrastructure. Leveraging on Cintrifuse’s concepts, Synapse aims to create connections among their eight defined personas. These include Investors, Entrepreneurs, Talent, Educational Institutions, Innovation Enablers, Entrepreneur Support Organizations, Corporations, Government. Outside research and studies indicate that each of these 8 areas are growing in scale and momentum. The presence of these components separates Tampa Bay from most. The strong collaboration of the government and private companies, is setting the wheels in motion in making Tampa Bay the next big thing. Additionally, the mayors of the two largest cities in Tampa Bay are working in unison to bring positive change. Would You Let A Startup Buy Your Home?